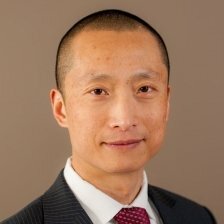 Bin Mu is the Chief Data & Analytics Officer of Brighthouse Financial (Formerly Metlife retail business). In this capacity, Bin’s responsibilities span over big data management and analytic across all of the business functions in Brighthouse Financial. Before his current role, Bin has held executive positions in other companies include Metlife, Cigna, L Brands, and Deloitte. Bin Mu received his MBA from Mason School of Business, College of William & Mary. At his spare time, Bin enjoys cycling and running.